Yvonne Young Clark, 89, was the first woman to receive a bachelor of science degree in mechanical engineering from Howard University, the first woman to earn a master’s degree in engineering management from the Vanderbilt University School of Engineering, and the first woman to serve as a faculty member in the College of Engineering and Technology at Tennessee State University. Clark was born in 1929 in Houston, Texas and raised in Louisville, Kentucky. She died Jan. 27, 2019, at her home in Nashville. Her professional engineering career included positions at Frankford Arsenal, RCA, Ford, Westinghouse and NASA. Clark appears in a chapter—The Women Engineers—in Dillard Jacobs’ book, 102 Years: A Story of the First Century of Vanderbilt University School of Engineering, 1875-1975. The entry cites her graduation from Vanderbilt with a master’s of science degree in engineering management in 1972 while holding a faculty position at TSU. She was featured in an article about women in engineering in the July 1973 issue of Mechanical Engineering magazine. Affectionately called “TSU’s First Lady of Engineering,” Clark, P.E., taught mechanical engineering for 55 years in the College of Engineering and Technology, where she also served twice as chair of the mechanical engineering department. Clark helped start Tennessee State’s chapter of Pi Tau Sigma, a mechanical engineering society.She made great effort to encourage women to become engineers and reported in 1997 that 25 percent of the students in the mechanical engineering department were female. A year following her college graduation from Howard University in 1951, Y.Y. – as she was known professionally – integrated the Society of Women Engineers. She served on its executive committee and was elected to its College of Fellows in 1984. Clark received SWE’s Distinguished Engineering Educator Award in 1998. In their 2001 Profiles of SWE Pioneers Oral History Project interview, Clark and Irene Sharpe, also a Howard University engineering graduate, discuss how they became interested in engineering, their experiences in college and in the workplace, overcoming racial and gender discrimination and the challenges of work/life integration. 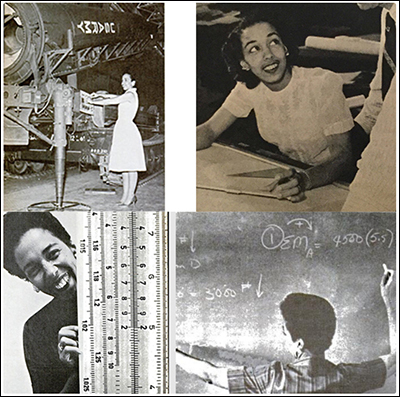 In her 2007 SWE StoryCorps interview with her daughter, Carol Lawson, Clark discusses her early interest in flying and engineering; her experience attending Howard University and later Vanderbilt University; her experiences working for Frankford Arsenal Gauge Lab, RCA, NASA, Ford Glass Plant; her time teaching at Tennessee State University; and her involvement in the Society of Women Engineers. Clark graduated from high school in 1945 at 16 and spent the next two years studying in Boston before entering Howard University in Washington, D.C. Clark was the only woman in her graduation class of 300 engineering students and she graduated with top honors. However, she was not allowed to march with her male classmates. Clark received her diploma in the office of the university president. After receiving numerous job rejections due to her gender, Clark worked at Frankford Arsenal Gauge Labs in Philadelphia before moving to the Electronic Tube Division of RCA in Montclair, New Jersey. She was 25, and she designed electrical equipment with 18 male colleagues. 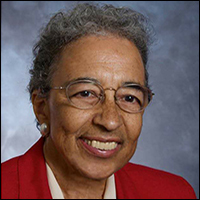 Following her 1955 marriage to William F. “Bill” Clark, Jr., Clark moved to Nashville and was hired as an engineering professor at Tennessee State University. During summer breaks, she worked in a variety of engineering jobs. Clark spent many summers at Frankfort Arsenal doing research on recoilless weapons. She also spent a summer working with NASA in Huntsville, Alabama where she investigated Saturn V booster engines for hot spots. She then spent a summer at the NASA Manned Spacecraft Center in Houston working on containers to return moon samples to Earth. Clark did further research through Westinghouse’s Defense and Space Center in Baltimore, Maryland. In the 1990s, her research focused on refrigerants. She was the main investigator for the research project “Experimental Evaluation of the Performance of Alternative Refrigerants in Heat Pump Cycles” funded by the Department of Energy’s Oak Ridge National Laboratory. In addition to SWE, Clark was a member of the American Society of Mechanical Engineering and the American Society of Engineering Education. She received numerous awards throughout her lifetime including Women of Color Technology Award for Educational Leadership by U.S. Black Engineers, Distinguished Service Award by the Tennessee Society of Professional Engineers, President’s Distinguished University Award from TSU, and Mechanism of the Year Award given by the TSU student chapter of ASME. Preceded in death by her husband, Clark is survived by her brother, son and daughter, and their families.